As of January the 1st of 2016 any gun owner that’s licensed by the state of Texas, or a state that recognizes the concealed carry licenses (CHL) of Texans, can carry any handgun openly so long as the weapon is cradled in a belt or shoulder holster. No specific type of belt or shoulder holster is specified by Texas law, but the weapon must be holstered if being openly carried. To be concise; the law does not define what a belt or shoulder is, how it’s designed, nor does it describe any of its devices. To avoid legal infractions related to the holstering of your weapon attorney Tad A. Nelson recommends the use of a professionally made holster designed to be worn either around your shoulder or attached to your belt. Open Carry does not mean that you can carry a gun in your pocket, the small of your back, or in between your stomach and your belt, unless it’s holstered. Assuming that you have a CHL, open carry does mean that you no longer have to conceal your holstered weapon while in your vehicle as long as it is within arm’s reach. We should also note that Texas law does not specify any distinction between loaded, unloaded, armed or disarmed firearms. Long barrel firearms are among some of the weapons that don’t require a license. Some college aged students have asked us about whether or not they can use a firearm to protect their lives in the event of another campus shooting. After August the 1st of 2016 it will be legal to carry personal protection on school campuses so long as the student (or teacher) has a Concealed Handgun License. Concealed Handgun License applicants must be at least 21 years of age to acquire a concealed handgun license granted that they’ve not been convicted of certain crimes. There is no separate license for Open Carry. In essence the new Open Carry law has effectively made the CHL a small arms license. Everyone in Texas will not be allowed to open carry. This applies to persons under the age of 18 without a parent present, persons who have been convicted of certain crimes, and persons who lack a CHL. With federal laws in mind, a person who is lawfully allowed to own or possess a handgun is generally lawfully allowed to open carry that firearm. You may carry your weapon on private property granted that the property owner has not prohibited Open Carry or firearms altogether. 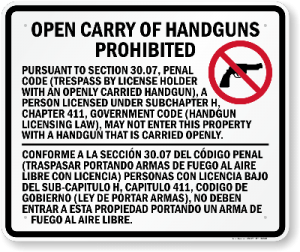 The lawful way for property owners to ban open carry on their property in the state of Texas is to prominently display a 30.07 sign. For a businesses to lawfully ban all firearms they must display a 30.06 & a 30.07 sign. What If Handgun Prohibition Signs Aren’t Displayed? 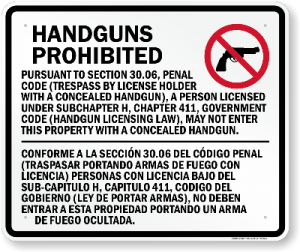 If a private property owner, or business, does not have the 30.06 or 30.07 signs displayed, but asks you to leave or remove your firearm from their property, you must comply. Otherwise you may be charged with criminal trespass. Although the law allows Texans to demonstrate their Constitutional Right to keep and bear arms, the law does not diminish respect for persons on their own property. When it comes to Houston Police Department (HPD) officers or Harris County Sheriff’s Office (HCSO) deputies it should be noted that they may not all be aware of the nuances related to Texas open carry law. Dealing with police in this area of the law can be particularly touchy. However, the law clearly states that law enforcement cannot stop you to demand an ID or that you furnishing a CHL solely based on Open Carry. Speaking of the law as it relates to a requirement to show your ID, if law enforcement does not suspect you of a crime you are not required to provide an ID. 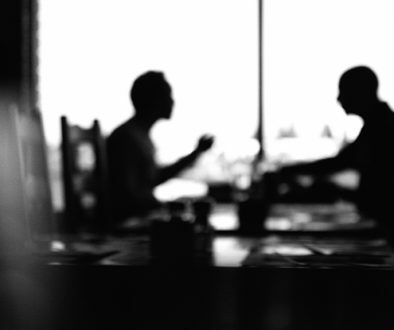 Keep in mind that it is very important to ask the officer you are suspected of committing a crime. Furthermore, it’s advisable to cooperate with police officers and not to attempt to educate them on the law. We can handle that in court. 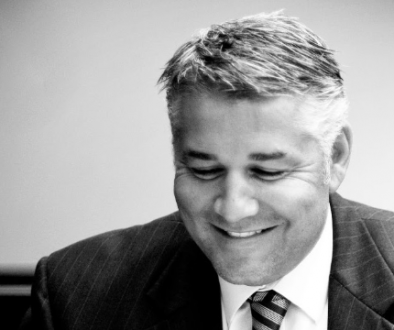 Contact our law office by contact form or call us at 713-659-0909.